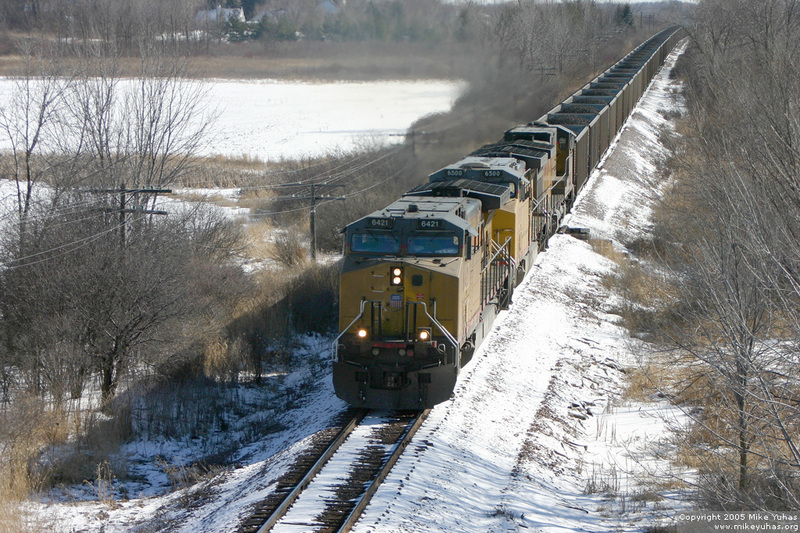 A northbound loaded Sheboygan coal train is seen from the Highland Road bridge, the same venue as the previous shot. It's rare to see three units on a Sheboygan coal train. It's even more rare to see two big trains on the Shoreline Subdivision on the same day -- in daylight!